Ahava offers a wide variety of skin care products, however, this is the first I have used personally. Like millions of others, men and women alike, I have been seeking that eternal fountain of youth in a bottle. (or tube, or bucket for that matter.) So, when I read the description I was eager to put my regiment on temporary hold and try this. The UPS delivery man had barely sat the box down when I started opening it. Thank goodness it was easy to open - no unnecessary this or that to impede my progress. Being aware of the product cost, I was surprised it comes in a plastic container, designed to look glass. It is attractive, easy to read and easy to open. Touching a single finger to the cream, and rubbing it between my index and thumb, a chemical like scent is noticeable, it feels thicker than lotion, is milky, a bit greasy at first - after several swirls the cream itself had been absorbed, but there was a residue that was still tacky to the touch. When I applied it to my face - I went through my cleansing routine, to ensure I began with a clean palate to test this product. I applied in small sections, because of the tackiness left on my fingers earlier. It doesn't take much of this gel, a little goes a long way. That is a big plus when factoring cost. Once applied to my face the scent became more of a factor than I had first thought. There are many factors with these kinds of products that are a matter of personal preference, no right or wrong, they simply bother some, and go unnoticed by others (which is why there is such a vast selection of products, to find something to suit you, because no one product will ever suit everyone)... the scent is one such issue. Personally, I do not like a chemical scent on my face. I would prefer a gender neutral, unscented product. After I applied the gel/cream there was a shininess that didn't go away. Put that together with the sticky residue - this could definitely not be used as part of my morning routine under makeup. I was so excited about this product and had hoped it would be something I would continue to use - Unfortunately, this gel/cream is just not the right product for me. 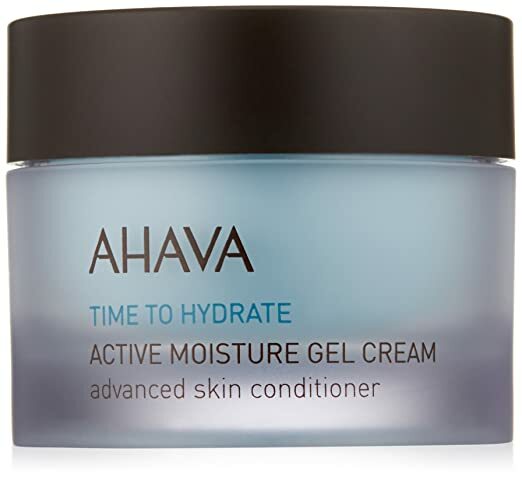 That said, there are a lot of Ahava products available - I would be willing to try something different in the future.